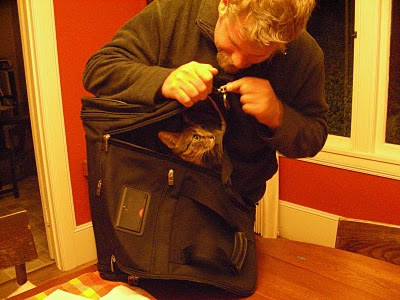 austindogandcat.com: Tips for flying with Fluffy in the cabin with you!! Tips for flying with Fluffy in the cabin with you!! If you're planning on traveling with a pet, you're not just representing yourself-but every pet loving person who wants to travel with their pet! Looking for a rundown of rules of the road-or sky-to follow? JetBlue's "PettiquetteTM" policy gives travelers with pets some convenient guidelines to help them act as considerate pet ambassadors when at the airport or on the plane. Be sure to bring along wet wipes, paper towels and pet waste bags in case your travel partner has an "oops" at the airport or while flying. 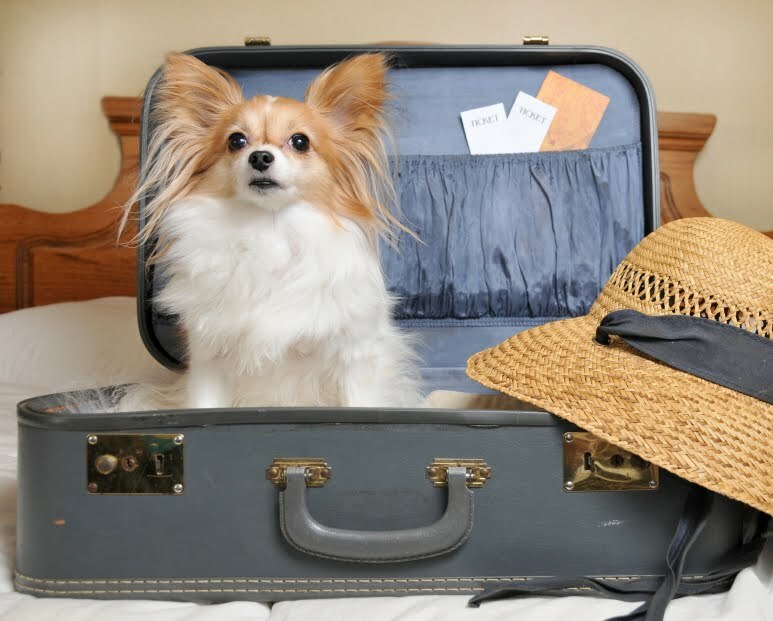 While you might think you're doing your pet a favor by slipping him a little something before the flight, you could be potentially endangering your pet's health and safety. At altitude, pets can have adverse reactions to sedation that they might not normally have at sea level. To help with your pet's anxiety, bring toys and treats that he can play with while flying and don't forget the importance of crate training. You can also try aromatherapy options like Earth Heart's Canine Calm or for cats the popular anti-stress product Feliway. If you're flying coach, be prepared to be booked in one of the last rows of the aircraft so that you won't disrupt other travelers. Don't forget that you'll need to book your flight early. 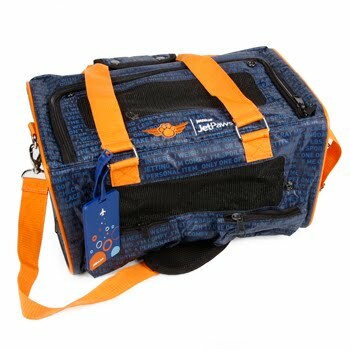 Purchase the largest size carrier for your pet's travel to give him extra leg room for your flight. But buyer beware: you'll want to make sure it will still fit under the seat in front of you, or it won't be allowed on the flight. JetBlue offers a custom-made JetPawsTM pet carrier (see photo below) designed by Cindy Adams from Jazzy Park Avenue Dog products guaranteed to fit under their aircraft seats.